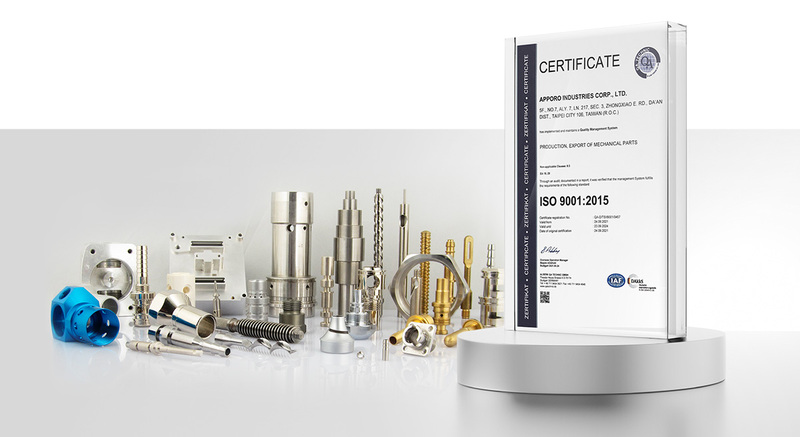 First of all, APPORO is now ISO 9001:2015 certified, but we are not promoting the news to show our joy and pride of achieving ISO 9001 certification. 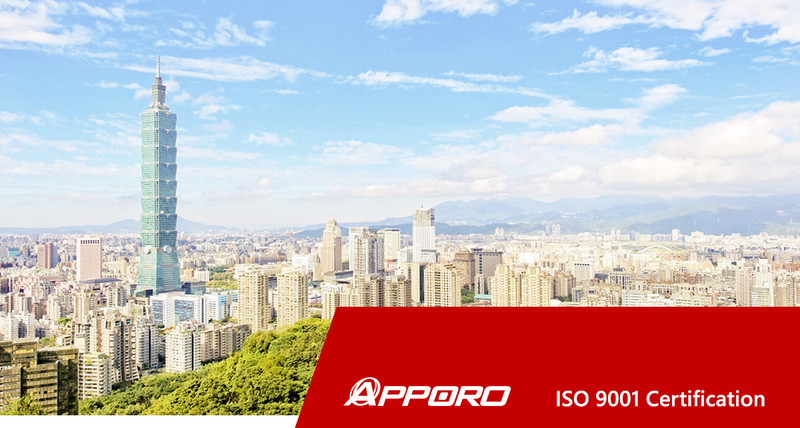 Instead, as the standard, APPORO puts on ourselves is even higher than ISO 9001, for APPORO it is just the timing to pass the certification. This accomplishment can not be achieved merely by the organization adjustment one time, but by the cooperation of every staff in APPORO. Only with the diligence of everyone in APPORO to follow the SOP (Standard Operation Procedures) at work can we reach this milestone. In APPORO, we encourage our employees to share their technical knowledge, and to present their diverse abilities at work. This could boost the communication efficiency and consolidate the connections between employees and departments. It’s too outdated for an enterprise to still have punishments and rewards systems. APPORO sees every employee as an independent administrator and encourages our employees to participate in decision making. On one hand, this can help our employees have the sense of achievement through the process. On the other hand, this can diminish the communication barriers in hierarchical structure, improving the efficiency of APPORO’s administration, communication, and decision-making. Also, with the diverse feedback of our employees, APPORO is able to perform more insightful and inclusive strategies. Similar to receiving the ISO 9001:2015 certification, progress are made gradually instead of instantly. The spirit of establishing our operation standards lies in continuous fixing mistakes and self-reflection to avoid making the same mistake. APPORO already gets rid of paperwork and computerize our management. This not only reduces paper usage, saving the earth and forests, but also speeds up our data search. Hard Disk Drive with flash drive can only have weak data protection, but not prevent the damage from power failure, track error or loss. Therefore, APPORO is now installed with two 2-bays Network Attached Storage (NAS) for mutual data backup, which are connected with the Uninterruptible Power System (UPS). Besides, the staff in APPORO are also authorized to have different access permission for their accounts based on their job levels. Considering NAS is also at risk of malfunction when tracking errors or long-term power failure happen, APPORO takes a further step to synchronize the essential data for daily run with the Cloud drive so as to fortify the information security. To secure our confidential information, APPORO adopts the globally known Cloud service, which on one hand mutually backups the data in NAS system, and on the other hand allows quick search on portable devices or away from the office. As Internet and mobile communication were not yet popularized in the past, the means of communication was mainly telephone and fax to contact our customers and suppliers. Nowadays, we generally use emails for daily correspondence, with which we are able to convey our messages clearly and send the complete drawings. Besides, the application of the instant communication software and portable data devices also enable instant and quick information sharing to speed up global trade. Taking a broad view of human history, it is hard to use the success in the past as the strategies and ensure that it can bring the steady progress in the future. So, APPORO takes self-reflection and self-improvement seriously to establish our own culture. 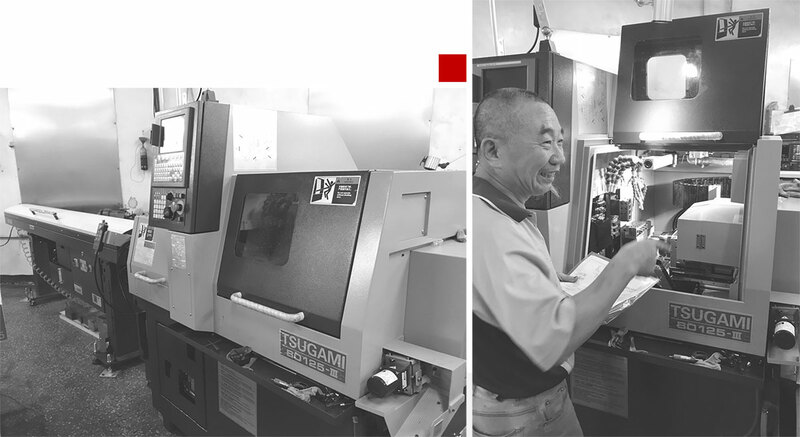 With not only the successful experiences of others but also the developing machining techniques and computer technologies, APPORO is able to stand out in the field of precision CNC machining. When you have new projects with APPORO, you will receive immediate and precise responses, multiple and efficient technical suggestions, and reasonable quotation with details. For long-term mass production projects, APPORO also offers stable and reliable quality and lead time. APPORO looks forward to opening a new era of cooperation with you. Copyright © APPORO IND. CO., LTD. All rights reserved.